European Commission president Jean-Claude Juncker has warned against Turkey reimposing the death penalty. Juncker in Germany's Bild am Sonntag newspaper has said the move would "slam the door to EU membership." The comments follow statements over the weekend by Turkey's president, Recep Tayyip Erdogan, that he would not hesitate to introduce capital punishment should the parliament back it. 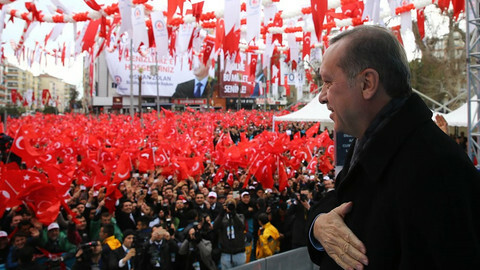 Erdogan, addressing crowds in Istanbul on Saturday (15 July) to mark the one year anniversary of the failed military coup, vowed to avenge the deaths of some 250 people. "We’ll first rip the heads off these traitors. We will cut their heads off,” he said. Turkey says that the Fethullah Gulen movement, now labelled by Ankara as a terrorist organisation, was behind the coup. Gulen, an exiled cleric living in the United States, denies any direct involvement. 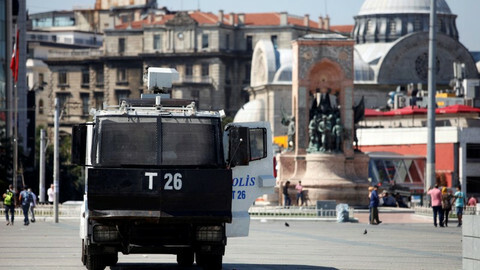 Turkish authorities have purged some 150,000 people since last July, including the chair and director of Amnesty International Turkey. Turkey says it has since reinstated over 30,000 public employees and set up an inquiry commission to probe wrongful detentions. 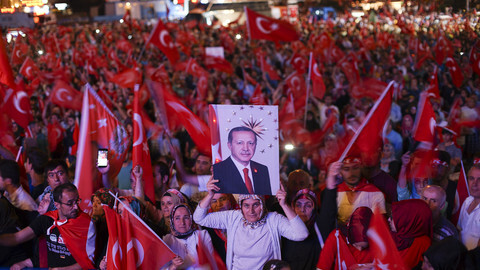 Erdogan was also critical of the European Union. He said the EU had failed to live up to its agreements with Turkey. Turkey hosts over 3 million Syrian refugees as part of an agreement with the EU to prevent them from arriving in Greece. Turkey wants short-term visas lifted on its nationals travelling throughout the passport-free Schengen bloc, as a result. 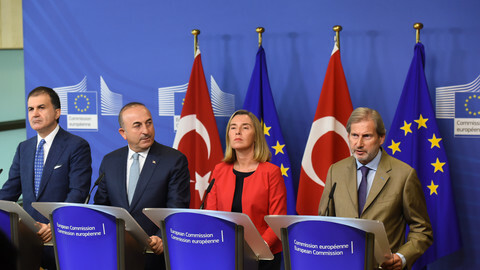 The EU refuses, given Turkey has yet to meet a half-dozen benchmarks, including demands to reform its counter-terrorism laws and implement a readmission agreement for non-Turkish nationals. 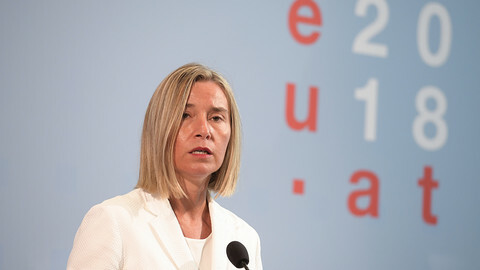 Those benchmarks will be discussed at a high-level political meeting between Turkey and the EU commission on 25 July. The agreed "statement" also requires the EU to finance refugee projects inside Turkey to the tune of €3 billion. Some of that money has also gone to Turkey's ministries of education and health. The tug of war between the two sides is underpinned by conflicting messages. 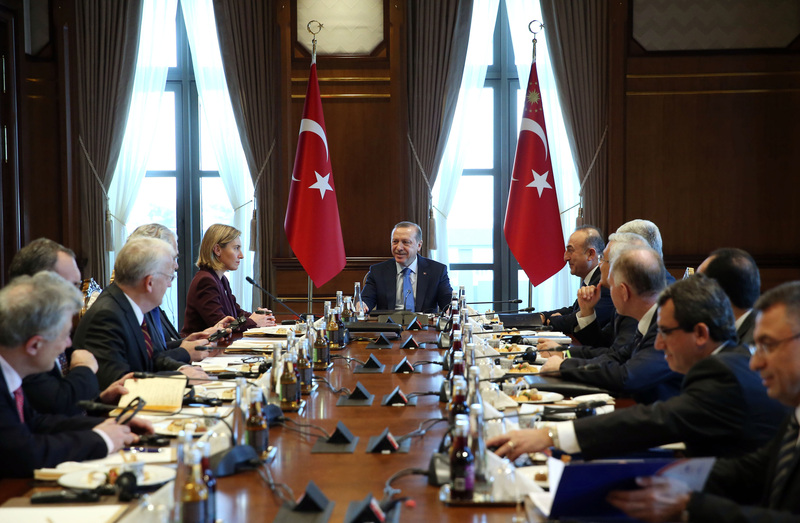 Senior diplomats and officials on both sides say membership remains a priority, despite Erdogan's threats, as efforts remain to strengthen trade relations via the Customs Union agreement. 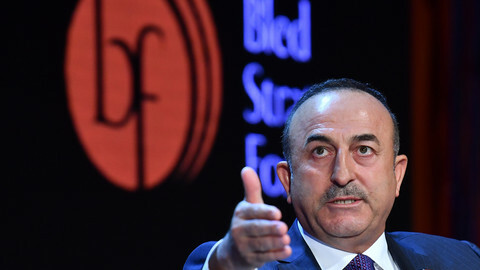 Last week, Ankara had sent its deputy prime minister, Numan Kurtulmus, to Brussels where he met EU commission vice-president Frans Timmermans and European Parliament chief Antonio Tajani. Mehmet Hakan Olcay, Turkey's ambassador to Belgium, also told reporters on Friday that "Turkey's strategic position remains for full membership of the European Union." 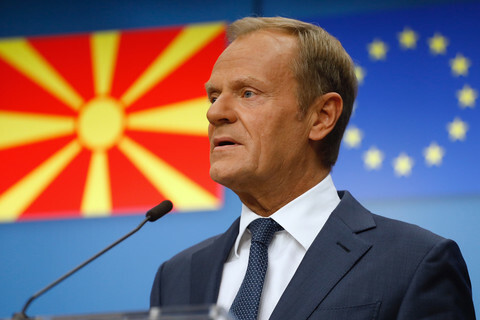 But he had also defended a BBC interview with Erdogan, where the president said Turkey could stand on its own "two feet" and that the EU was wasting Turkey's time. Turkey is the single largest beneficiary of the EU instrument for pre-accession assistance (IPA), with more than 40 percent of all IPA fund allocation. Turkey was allocated just under €5 billion over a seven-year period, with around a third of that geared towards areas such as building democracy and the rule of law. Asked why the taxpayers in the EU should continue financing Turkey, given Erdogan's comments, Olcay said the amount was small. "It is not that much funding to start off with," he said, noting that Turkey's membership process dates back to the 1954 Ankara agreement. The EU parliament wants talks, which are already frozen, to come to an official end following Turkey's widespread crackdown on different sectors. 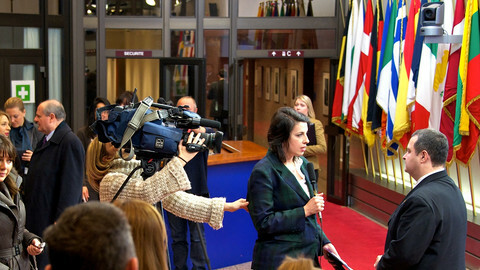 Turkey has opened 16 out of 35 of the EU's accession negotiation chapters. Of those, only one has been completed so far. Ankara's path to membership has also been frustrated, in part, by Greek Cypriot demands, given the outstanding territorial dispute in Cyprus. France, while under the presidency of Nicolas Sarkozy, also opposed the opening of a number of accession chapters. The trial, which opened Monday, of 17 journalists and administrative employees of the daily newspaper Cumhuriyet is considered one of the most important episodes in a systematic campaign to silence dissent.